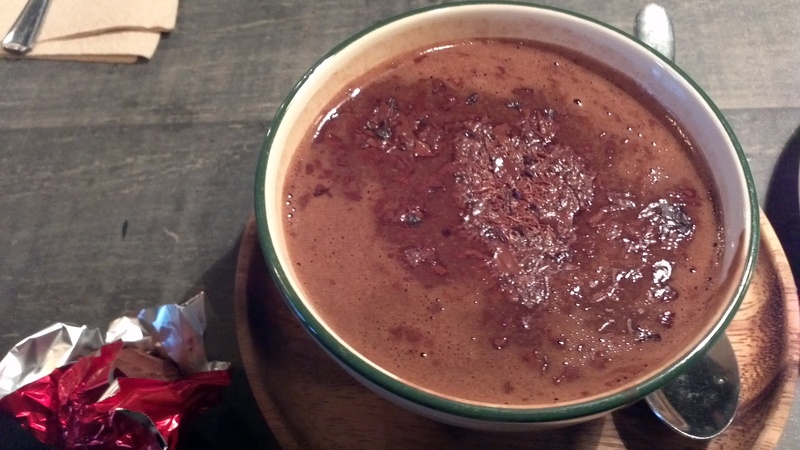 Here’s a quick and easy one but really good if you have a slow cooker. I wanted to have something that would be ready soon after I got home tonight because I was cooking for a friend and didn’t want dinner to be ready too late so I thought I’d get out the slow cooker and make some beef stew. 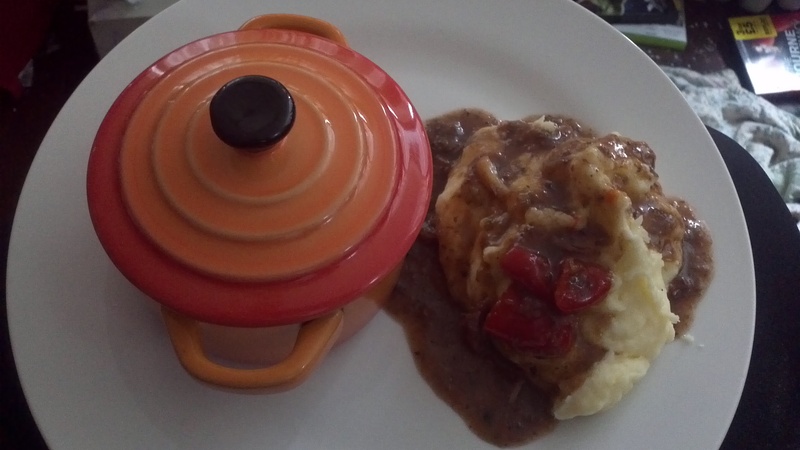 I served it mashed potatoes, again fairly easy but yummy. The tiny casserole dishes I got from Wilkinsons for only £1 each. The equivalent Le Creuset dishes that my boyfriend wants are £15 each. I think I got a bargin! Of course the Le Creuset ones are cast iron and beautiful but for a £14 different I really like my knock off Wilkinson ones. 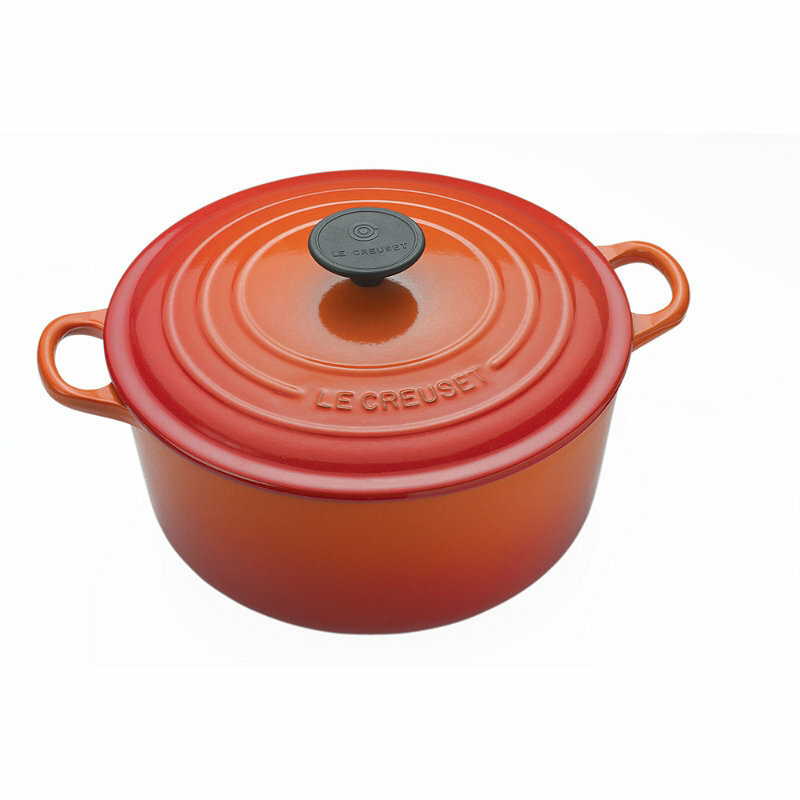 A Le Creuset version taken from the Lakeland website. – Mix together about 1/2 cup of corn flour with 1 tbl parsley, 1 tbl sage, 1 tbl oregano and pepper to taste. – Coat 1 pound of stewing beef chunks in the flour and herb mixture. – Sear the beef in a hot frying pan to seal the juices in. – While the meat is cooking cut your vegetables into large chunks (I used carrots, onions and red pepper). – Put the vegetables in the crockpot and add 3 stock cubes and 1.2l of hot water. – Add the beef and leave to cook. I had mine on high for 4.5 houra and on low for the last 30-40 minutes while I made the potatoes. – Check the seasoning and add a dash of port. If the gravy needs it thicken with a little more cornflour but mine was just the right consistency :). 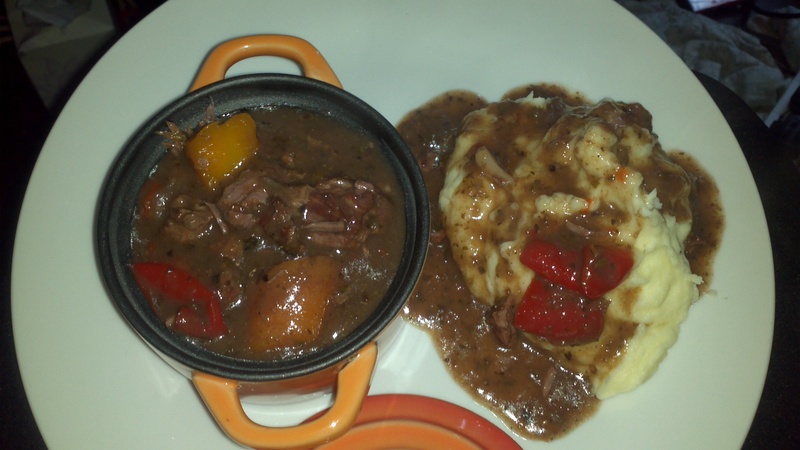 The little casserole dishes kept the stew lovely and hot as well as looking tidy on the plate. 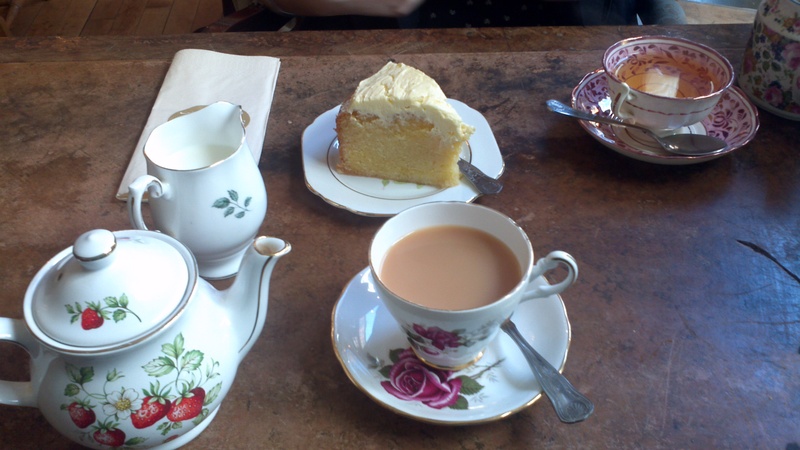 Even when I’m not feeling great I still can’t pass up an offer of tea and cake so when Kim called me on Sunday to see if I wanted to go for a cup I couldn’t say no! Especially since some shopping was also a strong possibility. We were originally going to go to a different cafe on Tibb Street but it was closed so we opted to go next door to Sugar Junction instead. 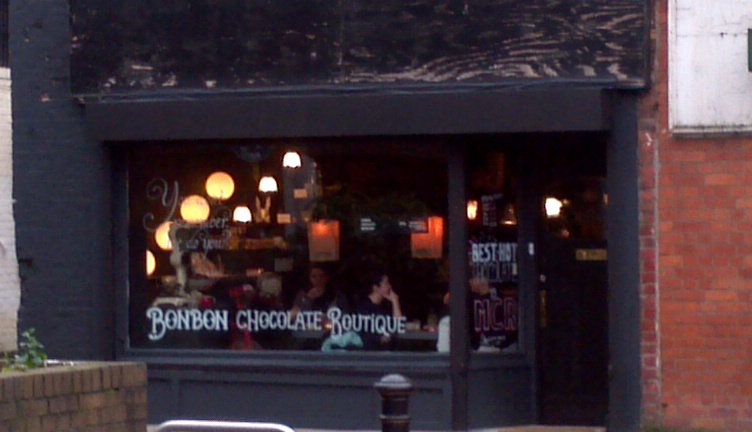 They have an interesting, very Northern Quarter, kind of style; an eclectic mix from modern lighting to quite chintzy furnishings. The tea and coffee are both served in china with the coffee coming in supersized cups! I don’t drink coffee but I thought it was nice that coffee drinkers get something comparable to the classiness of a tea cup. Sugar Junction offers a wide range of tea types but in the end Kim and I decided that we were really just in the mood for ‘normal’ tea. This being the case we opted for a teabag tea instead of loose since loose was £3.10 a pot and teabag was only £1.90. 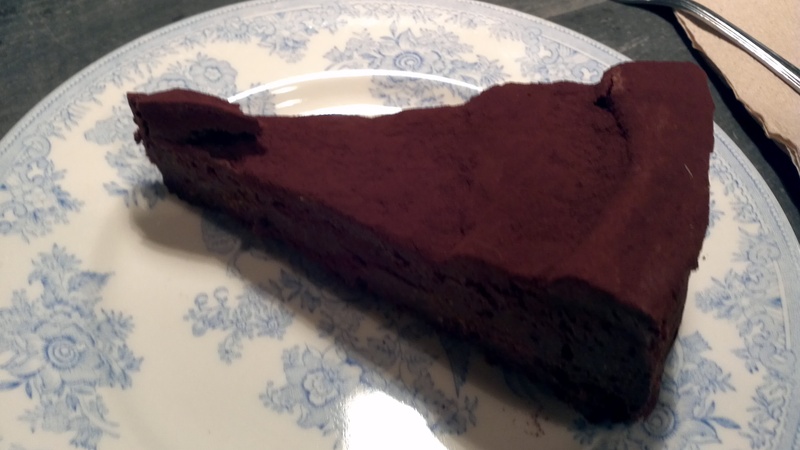 We also opted to split a slice of cake. The cafe went up several points in Kim’s estimation when they asked us if we wanted it gluten-free :). 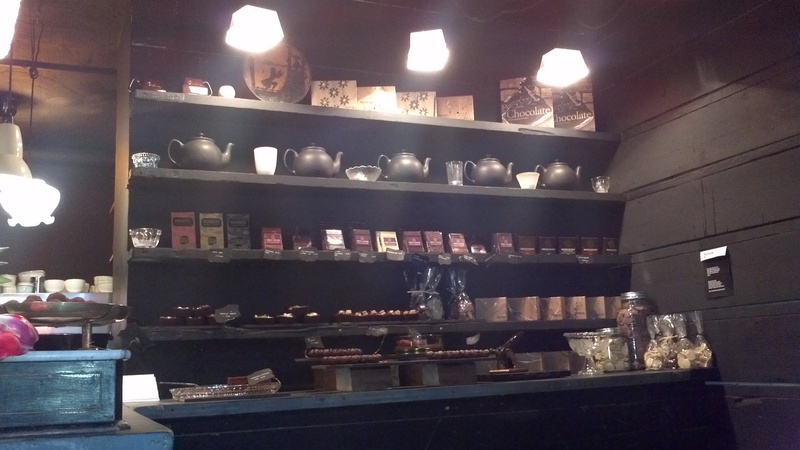 In the end Kim had a pot of Earl Grey and I had Assam. We went for the lemon drizzle cake, which was iced rather than drizzled and very yummy. 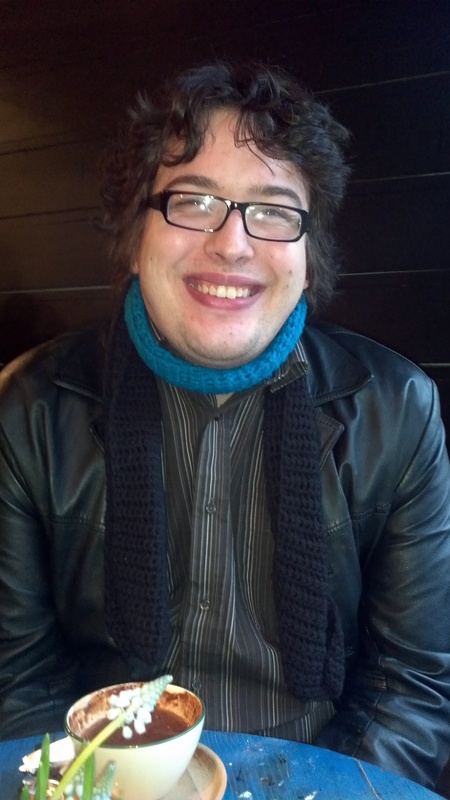 So it’s been a while since I made a post, mostly because not much has been happening in the last month. This will all change soon since I’m going on holiday so there will be lots to post. In the mean time this sauce was so good I had to share. Taken from SimplyRecipes I came across it while looking for something new to make for my friend Kim but which could be made easily after work. We used fresh red peppers, chopped fine and roasted until soft, we didn’t add any vinegar and I don’t think it needed it. I also substituted 1/4 tsp of chilli flakes instead of cayenne and left out the anchovies because I don’t like them. Using wheat free spaghetti also made it a good meal for my gluten-intolerant friend and there is no difference in taste. Altogether this sweet yet slightly spicy sauce was a success. We also reckon it would work well as a tomato sauce substitute in meals like meatballs, I’ll have to let Kim get back to you on that one since her boyfriend is the one who does not like tomatoes. In other news it was a very good Easter, my Dad made a delicious lamb roast and we went out in the Lincolnshire Wolds to view the daffodils and lambs. I did not take my camera on this trip but here are a couple pictures from previous years, just whatever was on my computer already. Nickerson Seed planted hundreds of daffodils around the area where their plant was in Rothwell. I think the plant is now gone but the daffodils remain in force. My friend Kim and I had been intending to go out for a cream tea with cocktails one weekend soon, unfortunately my work schedule changed and suddenly I don’t have any Saturday’s off any more! Boo hoo! So to make up for it we decided to go out for dinner instead. Having fancied Thai for a while we went to Chaophraya (do not ask me how this is pronounced, I’ve never worked it out!). The one in the city centre here is the big sister of the Chaobaby in the Trafford centre that Kim went to a couple of months ago. It was her post that made me start wanting to go for Thai again the first place and so we finally went. 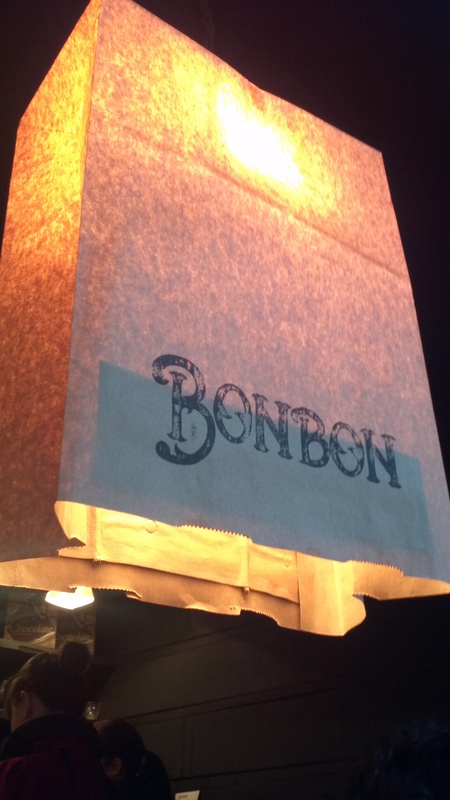 The restaurant itself is modern but warm with a flare for lighting. Kim and I sat at the table in the corner by the wine. A good place to sit when the doctor has told you not to drink alcohol. Mind you he also told me not to eat spicy food and the food here definitely had a slight kick. I always have a hard time deciding what to have, especially since they seem to change the menu every time I visit. However my difficulties were nothing compared to Kim’s! 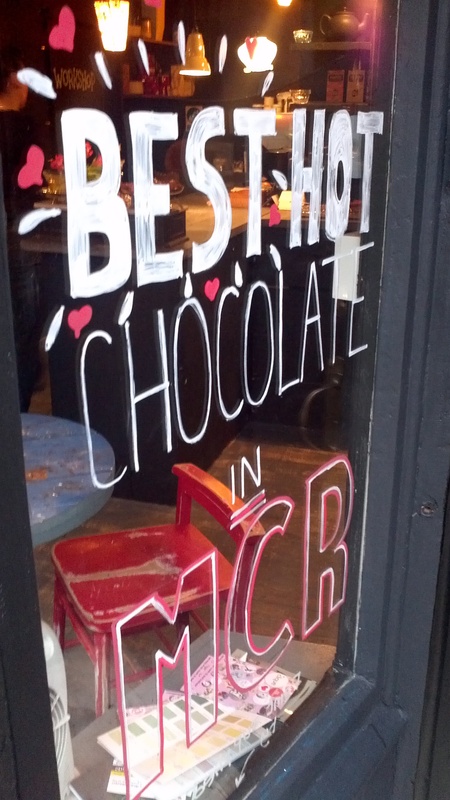 We had indecision down to an art. In the end we decided to split a starter and have it as a side dish and then each get a main. Kim went for Seafood and Papaya salad for her main, mostly to try papaya. Unfortunately either papaya is very tasteless or it was overwhelmed by the batter it was in. The salad itself was very good however and Kim enjoyed her fish; the mussels were huge! I have never encountered a spicy salad before but I did like the bit of Kim’s I tried, which is not bad for a person who does not like fish! I also tried some squid for the first time in my life and discovered that the texture if a bit like undercooked chicken, but Kim says it is supposed to be like that so there you go! The presentation of the salad was great, look at that big plateful :). Also in this picture is the duck we split from the starters menu. 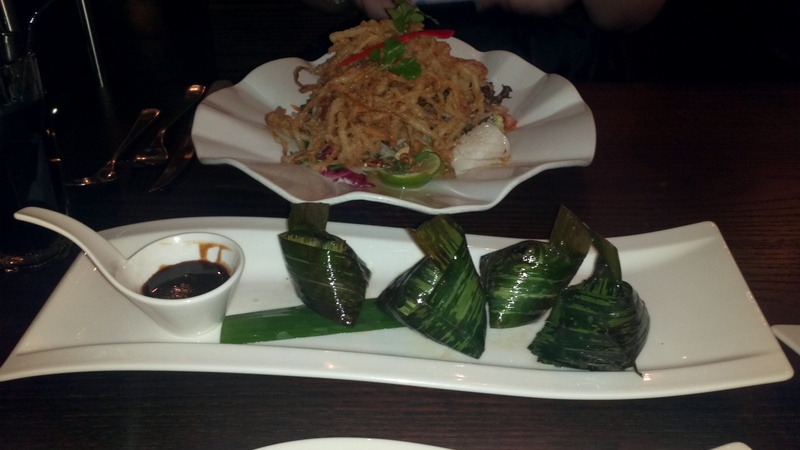 It is wrapped in Pandan leaves and served with Hoi Sin sauce. 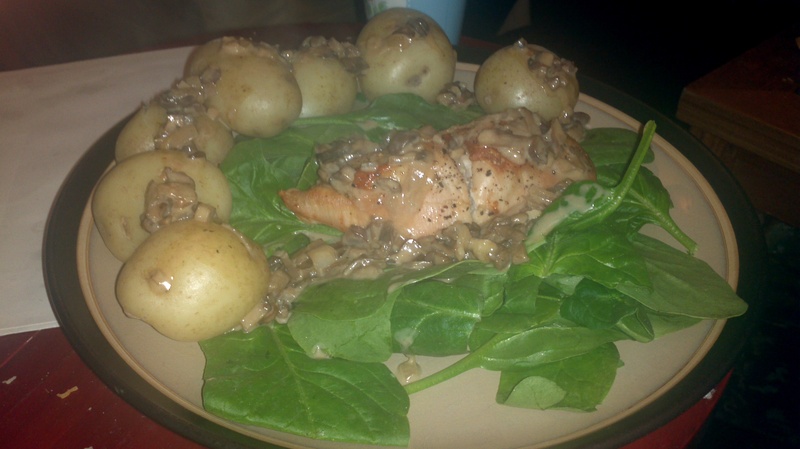 The duck was tender and delicious, a slightly sweeter taste but very peppery, yum! I enjoyed my main but I think the duck was my favourite part of the meal. 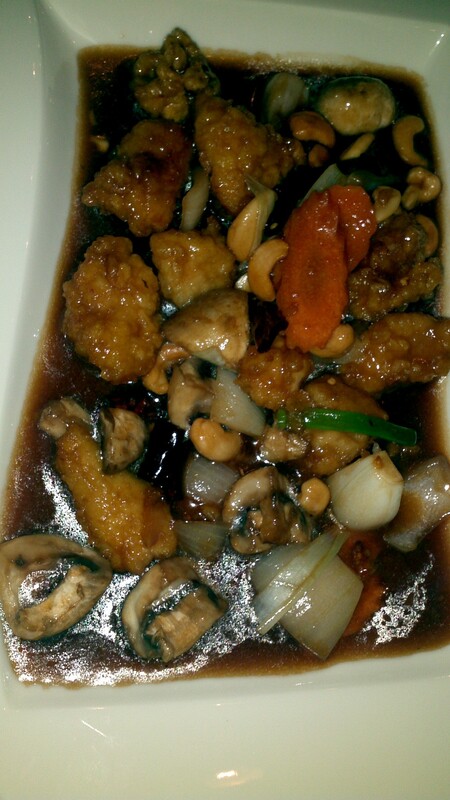 My main was Chicken with cashew nuts, which was slightly spicy but not overpoweringly so. I had it with a side of sticky rice. The chicken was well cooked and the sauce was excellent. 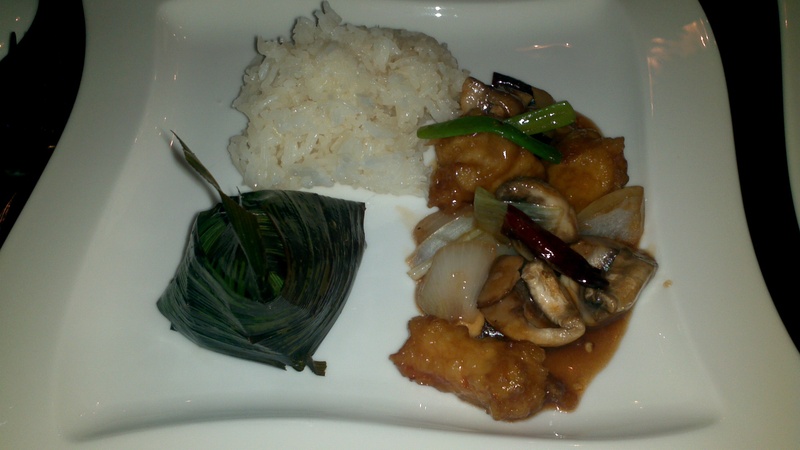 The chicken was served with carrot, mushroom, cashews (obviously) and both spanish and spring onion. Overall Kim and I had a very pleasant evening out, especially since we went and got Thornton’s ice cream afterwards as well! 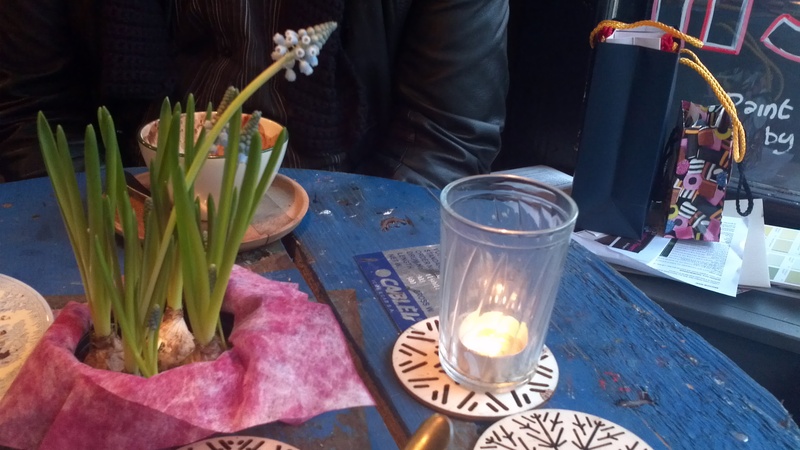 We did feel that the service could have been better, when we arrived we had to go and find a server to seat us after waiting at the desk for a few minutes and we did have some difficulty catching someone’s eye for the bill. The food is the important thing though so overall I would recommend a visit to Chaophraya (and in fairness we have previously always had good service there). Last Wednesday was my (usually fortnightly) meal at Kim’s house, which I always look forward to because she is a such a good cook. And because I enjoy her company of course. 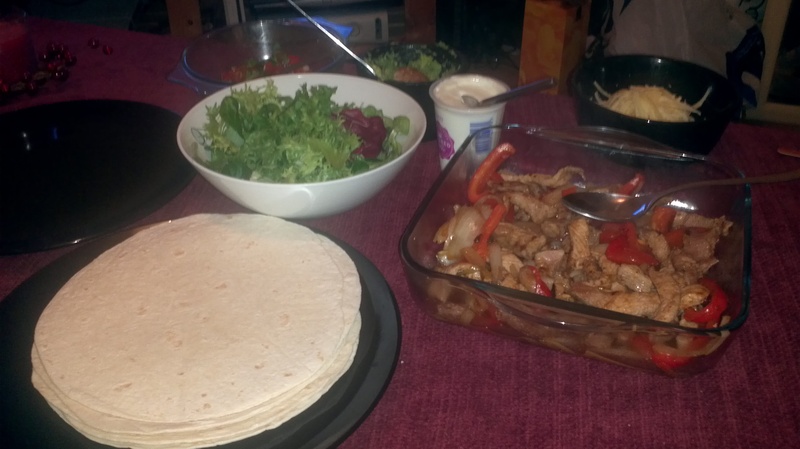 Last Wednesday we had pork fajitas and they were delicious. 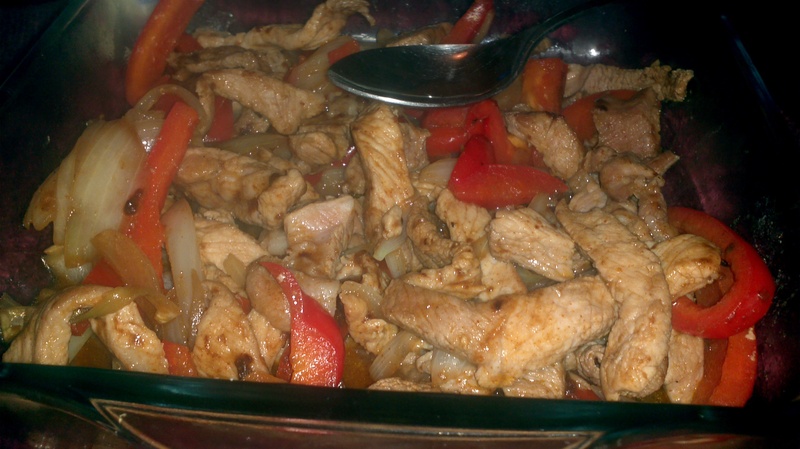 Pork with onion and red peppers. Trimmings! 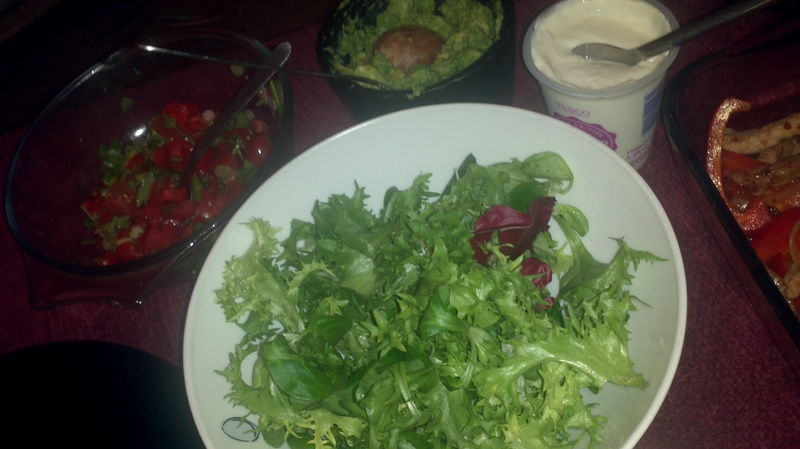 Salad, sour cream, avocado and tomatoes. 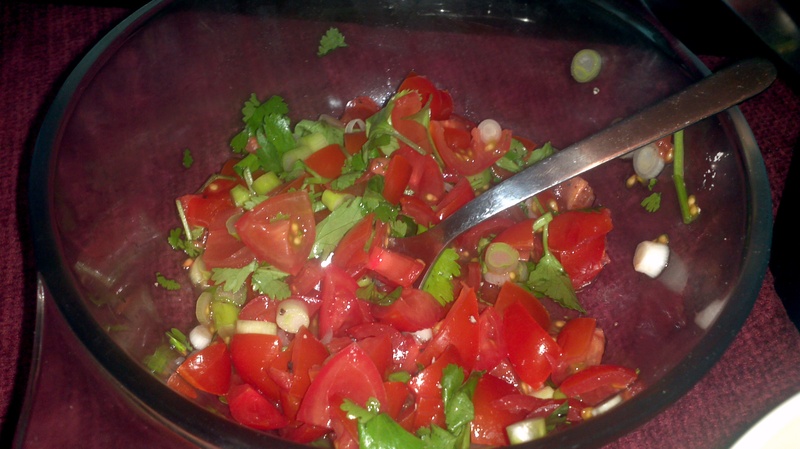 Tomato, coriander, spring onion and (I believe) white wine vinegar. A bit of everything and some tortillas. Everything already mentioned, plus cheese! 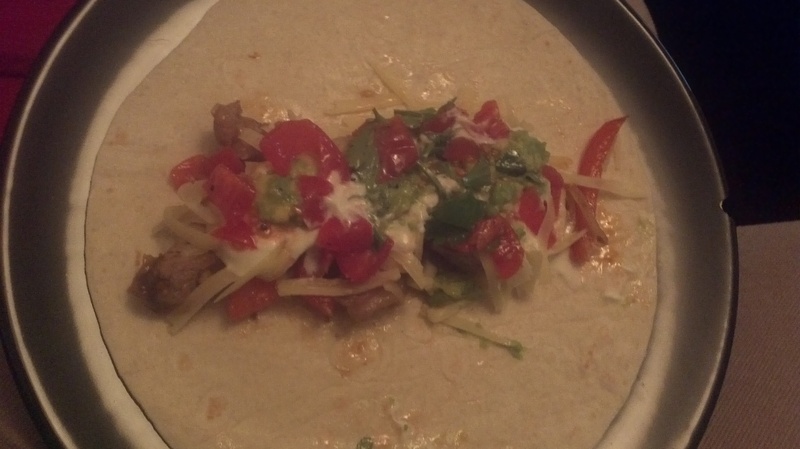 Fajitas are very messy to eat, at least for me, I never manage to get the wrapping part quite right I guess, but a great deal of fun. I haven’t had them with pork before and I thought it was a novel change and one I would definitely have again. We also did our usual tv watching, mostly of Angel but also of the news and some cooking shows: Heston Blumenthal showed us how to boil, scramble and ice cream eggs, I think it takes a special sort of mind to think of something like that!